So if you are ready for a dog before you rush to find and buy the cutest puppy consider which is most appropriate type of dog and the 1000's of dogs in shelters in looking for forever home. Want your charity / animal shelter listed on this page? 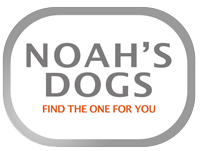 Get in touch and we can take you through how we will integrate your dogs needed a new home into our website. There are many dogs across the USA who are desperately in need og a home. Use the search widget to your left to search for your desired breed in your area. Search for a UK animal shelter using the link above, or select a loving dog looking for a new home from the charities on this page. Each dog you see on this page desperately needs a new home.